Though I attempt to refute it in almost every way possible, I’d have to say Marc Augé’s Non-Places: An Introduction to Supermodernity. Writing about ‘place’ will inevitably do this! But I am interested in shifting the discussion of place right through to questioning what ‘place’ actually is. Writing on acts of collaboration. Seeing some of the texts live in activist moments — resisting bauxite mining in the South-west of Western Australia. Being in the (s)places I was writing out of. It’s an extension of my ‘being in the world’, so it carried the difficulties (and enjoyments) of that. That was in 1983 and was a booklet of poetry (The Frozen Sea) that had a print-run of 50 copies and was published under the name John Heywood. I was disturbed and ecstatic at once. It was a beginning and a demapping of future possibilities. 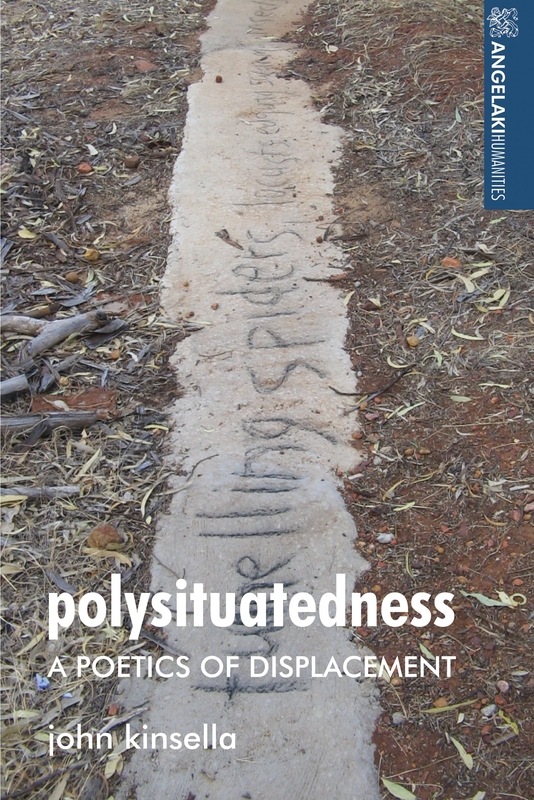 MUP did my earlier companion volume (Disclosed Poetics) in their Angelaki Humanities series. That volume was a good experience, and managed to find its way to paperback. So, it’s nice to be with the same team with Polysituatedness. A journeying. Each book I write has its own patterns and peculiarities — this one is no different. Walking the backroads of West Cork, Ireland, or wandering through the Western Australian wheatbelt bush — the nexus between physical and conceptual place is always being investigated. Writing it, I was in many ‘places’ at once. That’s the point, I think. A book on ‘temporariness’ and ‘locality’ with Russell West-Pavlov. I am also completing work on a consideration of ‘transcultural’ poetry and poetics. 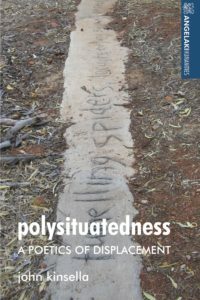 Polysituatedness is available now! Read a sample chapter here.